In this section we look at how to keep your hair healthy naturally so that you can use natural remedies for healthy hair and tips for how to do hairstyles that suit you best and to select the best hair accessories. A lustrous, clean, and lively hair is a subject of envy for many. It is a manifestation of an optimum health and an evidence of youthful glow. While it is a frustration for some, you can transform that dull, grimy, and limp hair of yours to an enviably age-defying one too! We also look at the ways you can supplement the appearance of your hair using hair extensions, and learning how to keep your scalp and hair in good condition. There are many ways that you can care for your hair for your entire life. Oftentimes, people splurge on skincare to make themselves look and feel younger. Oftentimes, they forget about their hair. This is your crowning glory, and should therefore never be forgotten. While you may have soft, smooth skin, your hair is dry and frizzy. This somewhat makes you look tired. And when you look tired, you look older. As we age, our hair has a tendency to become drier and more brittle, and if we are men, we tend to lose some of our hair as we get older. However, no matter what type of hair you have, or how much of it you have left, you can do some things even now, and some things every day, to keep your hair as healthy as possible and to ensure that you have a great time with the hair you have. If you want to know how to grow hair faster, then the first thing you’re going to need to learn is how to take care of the hair you’ve already got. 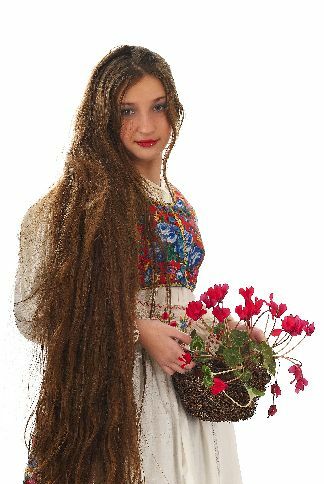 After all, even if your hair grows really fast, it won’t be long and lovely if you break it and develop split ends. So start by brushing your hair carefully (especially when it’s wet), de-tangling your hair by starting at the ends and working upwards, and brushing your hair before you shower to reduce tangling when you’re washing. It also helps to avoid tight hairstyles and cornrows, which put stress on your hair and can cause it to break. Eat your way to a good hair day. When it comes to having shiny, silky hair, you also have to think about its nutrition from the roots. It’s more than just what’s on the outside that counts. In fact, when you make sure that you always give your hair the nutrition it needs, you will notice a marked improvement on the way it looks. Healthy hair starts from within your body. Feed yourself with the right kind of foods to make it look its finest. Stock your kitchen with a few of these popular items, and along with a staple from the shower, you will nourish your hair from within and get those luscious locks you’ve always wanted to have. Hair is composed of a protein called keratin. When it comes to the way that the hair is arranged, one can see by looking closely that it is arranged in three layers, an outer cuticle, middle cortex and central medulla. These three layers constitute the way that the hair is set up on your head, and these layers might contribute in some small ways to the amount of hair loss that you might be seeing. Hair grows from a follicle.This is the small hole, or area in your head where the hair pushes out of. Many times, when people have hair loss, it might be because these follicles are plugged and new hairs have no way of getting to the surface. 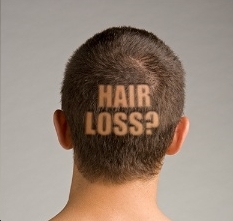 This is often part of the factors that contribute to hair loss as a whole. If you are experiencing hair loss, you might want to consider doing something about your hair follicles. This is something that might not actually cause hair loss, but if you have thinning hair, even getting a few of the follicles unplugged and allowing new hairs to grow is something that you can do. Even if you are going to lose your hair completely by the time you are a certain age, you might be able to delay this for awhile by taking the time to do something about your follicles. There are several places where you can find shampoos and other things that will help unclog your follicles. If you can find things and can begin a treatment, you are going to be able to see that your hair might come in much more quickly and that you might have much more of it than you had though previously. However, these treatments must be continued, so be sure that you are following directions to insure that you are doing everything you can to have as much hair as possible. Remember that once you have started to use special shampoos which should help clean out your follicles, you are going to have to continue to use these shampoos because if you don’t, you are going to find the hair isn’t going to grow in as well as you’d like it to. Remember that this is something you should keep in mind before you begin a hair re growth treatment. Most of these treatments you will actually have to keep doing for quite some time so if it is something that is important to you, you should begin them with the intent of keeping up with them. The question of how to grow hair fast is something many of us want answers to. The hair growth industry is worth $1.5 billion in America alone, and is something that still appears to baffle even top scientists. If you’ve had a bad haircut, have thinning hair, or just want long, beautiful locks, then here is a quick introduction to the basics behind hair and the speed and which it does, or doesn’t, grow. How Fast Does Hair Naturally Grow? When you’re looking into how to grow hair fast, it helps to understand the way our hair naturally grows. Unfortunately for many of us looking for a positive answer, human hair only grows at an average of half an inch a month - that’s 1.25 centimeters - and a total of 6 inches each year. As you get older, this generally gets slower, and could be as little as a tenth of an inch each month, amounting to a little over an inch in a year. At the root of the hair growth cycle is the process of cell division. As new cells develop, hair is added at the root, and it grows longer out of our head. The growth goes through three stages: the anagen, telogen and catagen, after which the cycle will repeat itself. However, some factors may disrupt this cycle, including illness, a poor diet, and stress, which is what leads many people to ask about how to grow hair fast. Each of the hairs on our head, if healthy, will last for up to six years. After this, hairs will fall out and be replaced by new hairs. The average human loses 100 hairs per day. This may seem like a lot, but it’s completely natural - there’s no way to protect your hairs from ever falling out! What Is the Maximum Length My Hair Can Grow To? Whilst hair may seem to grow longer indefinitely, some people may find they reach a dead end and just can’t grow hair past a certain length. This is all down to genetics, and depends on how long the hair growth cycle (as mentioned above) lasts. This could be up to six years, but is generally four to five. If yours is any less than this, you may have a hard time growing longer hair. The only solution (which is not guaranteed to work) is to learn how to grow hair fast - and get maximum length out of the years that your anagen phase lasts for. For some, home remedies and vitamins seem to increase the rate, though others may need to accept that their hair just isn’t going to grow any longer. First of all, you should keep your hair clean. This is important to good hair health, because it helps your hair to withstand all the torments of the world. There are many things in the atmosphere that can damage our hair, so we need to be sure that we are cleaning it with a shampoo and using a conditioner on a regular basis. However, you should remember that you should not use too many products in your hair, or use a blow dryer too many times, because all of this is damaging to your hair and you never know what the danger is that your hair is going through. Try to limit the uses of your products that might be harmful to your hair, especially those that contain chemicals. And you should be sure not to clean your hair too often. This is because our hair makes natural oils that protect it and give it shine, and if we wash our hair more than once a day, we are going to strip our hair of the oils that it needs in order to be as healthy as possible. There is a fine balance between keeping our hair clean and striping it of the oils that we need. If you compare skin care to hair care, shampoo is the soap that gets rid of oils, dirt, dandruff, pollutants and other impure particles that gradually assembles in hair. Just like your soap, your shampoo should also be used only unto select areas to prevent it from stripping out so much as to make hair unmanageable. So when shampooing, remember that your hair is dirtiest and oiliest at the scalp. Shampoo just your scalp and the sudsy overflow would be sufficient to cleanse the rest of you hair without saying goodbye to your hair’s natural shine. Remember, too much shampoo eliminates too much oil that actually protects the protein structure of hair from damage, and you’re just reversing the end of your purpose. Many commercial shampoos, conditioners, and other hair products can damage your hair in the long run making hair look dull and weary. Choosing the right product does not only make the hair look health and beautiful but also saves hair from destruction. For very dry hair, use mild shampoo and good quality conditioner that contain humectants which holds moisture in the hair. For greasy hair, a good nourishing shampoo should be used, while avoiding too much brushing as this excites oil glands which are already over-active. People with sensitive scalp should use organic or botanical shampoos because they have less harsh chemicals, thus, gentler to your hair. For brittle hair, a conditioner with re-constructor should be used- preferable those that contain hydrolyzed protein that penetrates the hair and strengthens its structure. For people usually exposed to sun or blow-dryers and hair curlers, a shampoo and conditioner with thermal protectors should be used. These shield the hair against excessive heat. Baby shampoos should only be used by babies, of course, as its composition is not enough for the hair of an adult. There’s no dispute as to what people with dandruff should use. Again if you compare skin care to hair care, a conditioner is the moisturizer that helps improve the texture and appearance of the hair. 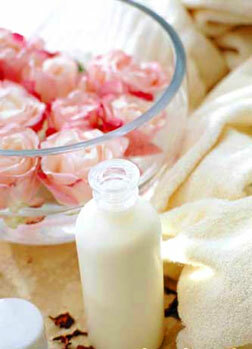 Like shampoo, soap, and moisturizers, a conditioner should only be applied unto select areas. This time, put conditioner only at the ends. This prevents the hair to sit limp at the roots which actually makes your hair look older. Unless you are planning to grow your hair into a style that is known as "dreadlocks" it is also important that you comb your hair on a regular basis. This is important because there are many different ways to comb your hair, but keeping it free of tangles is what ends up being the most important to you. If you allow your hair to get full of tangles, and to be snarly, you are allowing your hair to be a mess. If you don't take out the tangles in your hair, it is going to be much harder to remove them, and they are going to end up in a position where the hair will have to be cut. So it is important that you remove the tangles from your hair on a daily basis. The nozzle of a blow-dryer should be pointed downward to help close the cuticle, improving the sheen of our hair. The temperature of the hairdryer should be as low as possible, only use the 'hot' temperature setting for short periods of time. Keep the blowdryer continually moving over your scalp and hair, don't let the hot air keep blowing on one spot too long or you risk burning your hair and scalp. Gently roll your hair onto a round hairbrush to hold the hair in position as you dry it. You can also flip your head down and use your hands to scrunch and squeeze your hair gently in front of the dryer if you have wavy hair. Hanging your head downwards and letting the hot air circulate on your scalp and drying the hair as it hangs (upside down) helps to increase the amount of body in your hair once it dries. For the final three minutes of blow-drying, experts suggested to switch the equipment to a cool setting to fight dry and frizz hair, and flyaways. When you’re growing your hair you might want to avoid haircuts altogether - but the secret of how to grow hair faster is that you should get it cut every month or two. Why? Because this will get rid of split ends as they form, preventing them from traveling further up your hair and causing too much of it to break off. However, if you do visit the hairdresser regularly, try to avoid chemical treatments like straightening, dyes and so on - this can only harm your hair. According to beauty experts, long hair can age you and make you look tired and haggard, and they say that shorter hair can give you just the boost you need to look younger. So, be brave to give yourself a better cut. You don’t wanna look old with a long hair. Furthermore, tell your hairdresser to add layers as this gives hair fullness and bounce, that, in turn, makes hair look softer and shinier. You can also use a hair iron to heat your hair as that smooths it out and makes your hair shinier. Getting straight hair is not always an easy task, especially if your hair is extremely curly. Before you even pick up any straightening appliances, there are a few steps you can take to make the whole process a lot smoother. Begin by washing and conditioning your hair. You should use a deep conditioner if you plan on straightening your curly hair. Sometimes straightening hair can leave it dry and damaged, so by deep conditioning before hand you are making sure your hair will be silky and shiny. Towel-dry your hair and apply a straightening gel. The gel will help prep your hair for the process. Allow your hair to air dry a bit and then bring out your hair dryer. Pin the top portions of your hair up on top of your head. You will only be working on one section of your hair at a time. After pinning, use a flat paddle brush or a round brush if you prefer, to pull a small section of your hair straight while drying it with your hair dryer. Repeat this process, section by section, until all of your hair is dry. If your hair is really curly, it is likely you will experience a bit of frizz. Don't worry; this will not exist after the process is complete. The best tool to use when trying to straighten curly hair is an appliance called a flat iron. These appliances come in several different widths. Although you may be tempted to purchase a wider flat iron, it is best to stick with the flat irons that are approximately 1 ½ inches wide. This is true even if you have really long hair. The smaller versions are easier to work with and just do a better overall job than their larger counterparts. You can purchase a flat iron at most general merchandise stores or beauty stores. Your stylist can also provide you with information on brands they like best. You want to look for ceramic versions if you have stubborn curly hair that is difficult to straighten. You can even get a flat iron that allows you to straighten your hair while it is wet. This is something that may not work as well if you have difficult curly hair however, so beware of these combos if you think you may have tough to deal with hair. Most good flat irons also come with different temperature settings. These settings should be detailed in a booklet that comes with your appliance. You should always use the lowest setting that works for your hair. If you have fine hair, begin with the lowest setting and work your way up in temperature until you get the results you long for. It is always better to start too low, then to start too high and singe your hair. Different types of hair respond differently to heat so you will need to go with your instinct on the initial setting. One quick and easy hairstyle is the fast forward curl. This is a sophisticated style that takes a lot less time than it looks like it does. First, you will want to make sure you have everything you need: a blow dryer and diffuser that is light enough to hold easily, a small barreled curling iron, misting bottle (if you have natural curl), curl enhancing balm (if you need it), and a hair spray that holds without making your hair stiff. First, apply the curl enhancer or a mousse to help enhance or bring out any natural curl you have. If you have a lot of natural curl, a misting bottle might be enough. Gently detangled your hair and create a part in it. Allow your hair to 80% air dry (use a towel if you are in a real hurry). If you have a lot of natural curl, begin scrunching your hair with your hands and mist frequently if you are using water. If you are using a blow dryer, push your fingers into the hair to lift at the roots. If you feel like you want more volume, dry your hair upside down while continuing to scrunch with your fingers. If you have less natural curl, you may use a small barreled curling iron. Once you have it how you like it begin spraying with a non-stiffening hairspray to hold all the curls in place for the day or evening. Another popular look that you can throw together before dashing out the door is the trendy messy up do hair. To accomplish this look, gently brush out your hair to remove the tangles. Pull some of the hair up from the front of your face and secure it with a covered ponytail holder of some sort. Then, cover the holder with a hair clasp. At the nape of your neck, gather your hair into a loose ponytail and hold it in place with a hair tie. Next, twist the ponytail up to the crown of your head before securing the twist with long hair pins. Leave several (however many you like to see) of the ends of the twist loose and arrange them as you like. Pull some of the whippy ends around your jaw loose so that it will soften your jaw line. Then, hold everything you have done in place with a hairspray that will not leave your hair stiff and crunchy. In order to make these and other styles work for you as a fast style, practice. Use instructions or ideas and practice putting your hair in them. Before you know it, you will be able to race in the door, change hair styles, and dash back out to your next appointment or date looking fresh and stylish without having to find hours to spend on your hair. To vary looks, change the color, size or style of pins you use. Also, vary the accessories and you will be able to make the same look, in the same amount of time, look different, fresh, and stylish every time. It was not long ago that thin hair was basically a style death sentence. Those days, however, are over. All it takes is a little self-education and creativity to make your thin hair look thick, stylish, and healthy. It just takes the right cut, style, and care to get the hair you want even if it is thin. What is fine hair, though? Not everyone knows exactly what is meant by thin hair, so make sure you know what you have before you try to style it. There is also a definite difference between fine hair and thin hair, which will make a difference in your style. Fine is a reference to the diameter of each single strange. You can have a lot of hair on your head and it can still be fine. Thin or thick hair is in reference to how much hair you have. If you do have fine hair, though, you will be susceptible to thin hair as well. Age, stress, medications, and diet can also have an impact on the thickness or fineness of your hair. The first way to get your thin hair looking thicker (or fatter) is by getting just the right haircut. There are five haircuts that serve the thin and fine hair types best. Of course, you will have to think about which look is best for both your hair type and the shape of your face, though. The first cut to think about is the bob haircut. There are many variations, but no matter which one you choose, a bob will tend to make your hair look much thicker and healthier. A longer bob will work better with a fuller face, so you will have to figure out which is best for you. The next cut you might think about is the chop. This is a basic bob-length hair style only with irregular ends. The chop will give sparse and thin hair style and shape that will be easy for you to maintain as well. Shape and style will always give hair more body. Thirdly, think about a cap cut. This will work best if you have a very petite or oval shaped face. This all bangs look will give your hair body without taking away all the length. It’s not for everyone, but it is a good look for the right face. Another popular cut for those with thin or fine hair is the crop. A crop is any short, tapered haircut. There are problems with the cut, however; if you are over 45 it can do unflattering things to your chin and neckline. 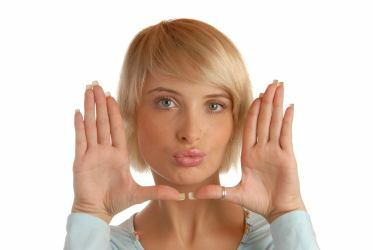 Also, the crop will put focus on your eyes, so flawed skin may draw more attention with a crop. You may also consider a lightly layered mid-length look. Not everyone wants to chop off all their length, so this is a good alternative to the short cuts. Just brushing the shoulder, this look is on a slightly diagonal-forward moving line at the sides. Then, a few light layers help provide volume after drying of the hair. In addition to or instead of a cut that will help your hair to appear thicker, there are technological advances that will allow you to thicken your hair. The latest focus has been on ways to fatten up individual strands of hair. Initially, these products used proteins that were infused into the cortex of the hair to fatten it. The problem was that some got really sticky if you overused it, but it did work. In today’s market, however, there are new and improved hair thickeners. Most even come in complete lines so that you will have a thickening shampoo, conditioner, and styles so that you get triple treatment on fine, thin or thinning hair. As with anything, some work better than others, so you will want to shop around for the ones that work best for you. Thin, thinning, or fine hair does not mean you can’t have healthy and thick looking hair. The key is to acknowledge what your hair type is and stick to styles, cuts, and products that will help you look your best. Consult a stylist on what might be the best looking cut, and shop around for the right hair care products for you. With the right care, treatment, and style you can have a thick full look with your hair. If you love the glamorous look of long, thick hair – but don’t want to wait for it to grow - you can easily achieve it with do it yourself hair extensions. Hair extensions were once available only to those who could afford expensive services in the salon. But now this type of beauty treatment can be done in your own home at a fraction of the cost. There are several different varieties of extensions from which to choose. You may prefer to have a quick and easy enhancement using clip in hair extensions. There are also fusible hair extensions that are fused to your natural hair using heat. Finally, there are hair extensions that are sewn into the hair. All three types serve a specific purpose. The easiest and most versatile do it yourself hair extensions are the clip in variety. These use a barrette to clip the extension right to your own hair. They take just a few seconds to attach and style and it’s just as easy to remove them. If you’re looking for something longer-lasting you’ll want to consider fusible or sewn in extensions. With these extensions, you won’t have the ease of applying and removing the hair, but you’ll have long-lasting, durable extensions that can be washed, dried, and styled just like your natural hair. These are the best choice for someone who wants to keep extensions in for long periods of time to make hair appear thicker and/or longer. While it may sound intimidating to apply your own hair extensions, this process has been made easier. Many online vendors offer a huge variety of hair extensions as well as kits that make it easy to attach hair extensions to your own hair. In addition, there are many how-to tutorial videos that can help make the process easier to understand. Hair stylists charge a fortune to apply hair extensions because of the time it takes in their business day – not to mention the retail markup of the extensions themselves. But you don’t have to forgo this fun and glamorous hair product if you’re willing to put a little effort into the process. Buying online will help you to get the best price and give you the widest variety. You may even plan a fun girls’ night where you and your friends take turns helping to applying the extensions. Do it yourself hair extensions can be a fun and economical way to improve your look without breaking the bank. Many people forget the simple advice that healthy hair starts with a healthy body. After all, your body has so much to do already that, if you don’t give it the nutrients and care it needs, it will stop putting energy into growing your hair. Start eating a healthy diet, make sure it’s nutritionally balanced, and don’t lose weight too quickly. You should also make sure that you set aside time to relax and avoid stress. Above all, if you could have any underlying medical condition make sure to seek expert advice - this could cause problems for your hair, and more. When it comes to the question of how to get healthy hair, so many of us look for expensive and complicated ways to make it happen. However, the truth is that hair growth is a natural bodily process, and as such the food we eat can have a huge impact on the way in which our hair grows. What Should You Eat for Healthy Hair? Knowing how to get healthy hair means understanding the link between your general health and your hair. Hair growth comes down to a reproduction of cells, and without vital nutrients your body will simply stop wasting energy on growing new hair. The good news is that, by following a balanced diet, you will already be on the road to having healthy, longer hair. 1) Protein: Most of us have heard that protein is an essential answer to the question of how to get healthy hair. If you aren’t eating enough protein, you’ll soon know. Your hair will stop growing longer and may even start to fall out. Make sure you are getting enough protein in your diet from ingredients such as meats, nuts, eggs, cheese, salmon and others. 2) Vegetables: Vegetables contain so much goodness, including many of the vitamins and minerals that are absolutely essential to the processes that make our hair grow healthy and long. In particular, vegetables are great for giving us vitamins A, C and E.
Try eating more dark green vegetables, such as spinach and broccoli, to ensure your hair stays in top condition. 3) Beans: Beans can help to provide your body with the protein it really needs, but they can also give you a wealth of other vitamins and minerals. They can provide zinc, iron and biotin: all essential for healthy hair. Try incorporating more kidney beans and lentils into your diet to improve this area. 4) Omega-3: This fatty acid has been all over the media lately, with claims that it can help your brain. The good news is it can also help your hair! If your diet is lacking, your scalp will quickly become dry. Salmon is perfect for this, filled with not only these healthy fatty acids, but also protein, B-12 and iron. A great vegetarian alternative is to take ground flaxseed oil in your diet each day. Knowing how to get healthy hair simply means giving your body a healthy foundation. 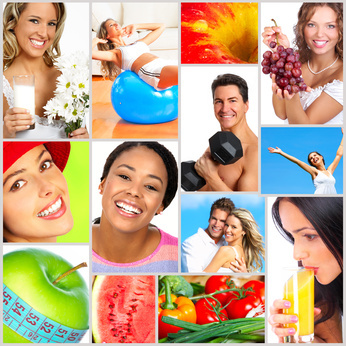 Make sure that you have a balanced diet, and avoid going on any fast weight loss plans. Crash dieting can do you a lot more harm than good, especially where your hair is concerned. Instead, combine the foods above with a healthy hair care routine, vitamin supplements and a good dose of daily exercise. Hair loss can occur due to vitamin deficiencies. It’s also believed that certain deficiencies can slow the rate at which your hair grows. Many people take prenatal vitamins to make their hair grow faster - however, it’s much safer to take a vitamin that’s specially developed for hair if you aren’t pregnant. That way, you won’t be getting extra vitamins that your body doesn’t need, but you’ll be getting everything your hair needs. Using a vitamin for hair growth will probably mean using a special formulation that has been designed with everything your hair needs. Vitamin B: Out of all the hair vitamins, Biotin is probably the most famous, and is contained in most of the top hair supplements. This is a B vitamin that’s essential for keeping your hair healthy. Other B vitamins are also important. Vitamin C: This vitamin is important for circulation in the scalp. Vitamin D: A lack of this vitamin has been shown to cause hair loss in mice. Vitamin E: Vitamin E is known to work as an antioxidant, helping to filter out the bad ingredients from our body and stop them damaging our skin and scalp. Zinc: This vitamin is important for a number of bodily functions, and is essential for healthy hair growth. Folic Acid: This is commonly found in prenatal vitamins, and is thought to encourage hair growth due to the way it helps new cells to reproduce. Many people take prenatal vitamins to help their hair grow quicker, though it’s far safer, if you aren’t pregnant, to take a vitamin that’s been specifically designed for hair. If you decide that a vitamin is the way you want to go, then remember that you still need to take care of your hair. After all, a vitamin could make it grow faster, but if you over-style or use chemical treatments, that long hair will simply become weak, break and look thin! You also want to nip split ends in the bud, before they travel far up your hair, so get regular trims. Will A Vitamin for Hair Growth Really Work? This depends on what you are looking for. If you are looking for a miracle cure, then there isn’t one. There is nothing that will add inches to your hair overnight, except for hair extensions! However, vitamins are absolutely essential to the health of our body and, as a result, the health of our hair. Many of us simply don’t get what we need in our everyday diets, which is why hair supplements and vitamins can help you to achieve the growth you want. One of the single most dramatic actions you can take to change your look is to color your hair. Your hair color is one of the foundations for your overall look, and so it becomes the stage for your makeup and fashion choices. There are limitless color options out there, so how you to choose the shade of hair color that is right for you? In order to choose a good hair color for you, you must first understand how hair color actually works. Whether you are going to a salon to have the coloring done, or doing it at home with a kit, understand that your new hair color will be a mixture of your natural color and the color shade you add. For example, if you have medium brown hair, and you choose a medium red color to add, your new color will be auburn not a medium red. Therefore, when working on a home color, do not look at the picture on the front of the box and imagine that is the color your hair will be after use. Instead, flip the package over and look at the shade selector on the back. Find your 'starting color' and the chart should be able to show you the approximate color you will get if you use the color you are holding. If you are still unable to find the color you want, mix shades to create a custom color. If you are going to mix, however, make sure the colors are from the same product line and only two shades either lighter or darker than each other. Secondly, you need to be aware of the depths and tones, and before you choose the hair color that is right for you, find the right ones. Depths are, for example, light brown, medium brown, or dark brown. The depth descriptors on the packages should help you choose the depth you want. As for tones, all colors are available in warm tones, such as red and gold, and cool tones, such as ash and neutral shades. The depth and tone of the hair color will add dimension to your hair color. As for the selection of the actual hair color that is right for you, keep in mind your skin tones and eye color. Hair color that complements your natural skin tones will help you to look your best. If you have an olive, reddish brown, light or rosy skin tone and eyes that are hazel, blue-gray, green, or blue, for example, choose cool colors. For you, hair colors of complimentary tone will generally contain the word 'neutral'or ash in the description. You will want a warmer depth to your hair color if you have medium golden, golden brown or darker hair. In addition, warmer colors will compliment you if you have eyes that are deep brown, brown, or hazel. You will want to check the hair color packages you are going to use for words like 'warm' or 'reddish' on the descriptors. Perhaps you do not wish to make a dramatic change. If that is the case, there are still rules for making your selections. If you want to subtly lighten your hair, look for a shade that is approximately two levels lighter than your natural color, which will provide subtle and natural change. If you want to cover gray, consider, once again, a shade close to your own natural hair color. Your other option is to use a color that is one shade lighter than your hair to turn the gray into highlights. Hair coloring can be valuable and fun. Use it to hide gray, give yourself a makeover, or just go with a whole new look. Be sure, though, before making the plunge, to find the proper color for you. Use your skin tone, natural hair color, and eyes to make a decision that will have you looking your very best. With proper care and color selection, you can create a new look that is natural and complimentary. Hair loss in either men or women can be caused by a range of different things. These include environmental factors such as exposure to harsh ultra violet light (including sunlight), chemicals, illness or physical trauma to the hair or scalp. More often, hair loss is caused by changes in hormone levels, brought on by aging, stress, pregnancy or breastfeeding. The major hormone responsible for hair loss is a testosterone and this is why men tend to be more likely to suffer from balding than women. It can actually affect men as early as in their twenties which needless to say can be very distressing and embarrassing for a young man to endure. Most men are constantly on the lookout for new and effective hair regrowth formulas, often with minimal results until they find the one that works for them. Hormone levels are to some degree genetically pre-determined, so the chance of you suffering from early hair loss will be greatly increased if you have parents or grandparents who were also affected, especially if they were on your mother’s side of the family. However even with a genetic link, the pattern of hair loss as well as age of onset can be difficult to predict and can vary significantly between individuals. Other causes of hair loss to be considered are excessive shampooing and blow-drying or the overuse of chemical colorants or perming solutions. Especially over a period of time, this can cause both hair loss and slowed growth, so especially for people who have a high probability of hereditary hair loss, care should be taken to ensure that this process is not worsened by misuse of hair products. Similarly men and women who work in a high stress environment, or who are undergoing chemotherapy (even low-dose) should take care to minimise the chance of hair loss by careful selection and use of products designed to foster hair growth. Many women suffer from hair loss following pregnancy. This is normally seen as a thinning of the hair and is usually evident during showering and shampooing when larger amounts of hair may seem to be falling out than is normal. This is otherwise known as postpartum hair loss. 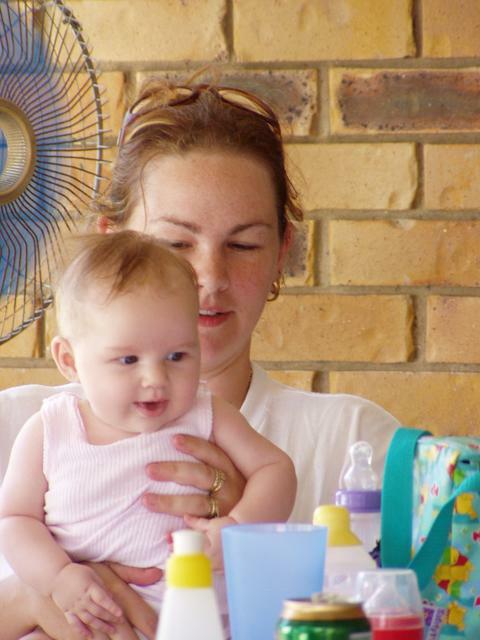 The cause of postpartum hair loss relates to the changes in hormone levels that a woman undergoes during pregnancy and during the first few months of breastfeeding. As with male patterned balding, it is this surge in hormones which causes changes in the cells of the skin, including the hair follicles of the scalp. Generally postpartum hair loss lasts only a few months following giving birth, and does not require treatment. Women concerned about losing their hair postpartum should instead take steps to prevent excessive hair loss, by avoiding brushing and using gentle shampoos and conditioners only when needed. Colouring or perming hair in the first few months after pregnancy is also not a good idea as this can weaken the hair and will only make the likelihood of postpartum hair loss greater. So it is best not to use any strong hair products just before pregnancy and whilst you are pregnant. There is also no scientific fact against damage to growing babies in the womb through the use of hair dyes. Personally I prefer to stay right away from that stuff when pregnant. Better to be safe than sorry! Finally as always, a healthy diet is the best tool for ensuring inner health, including the health of the skin and scalp. A postpartum dietary supplement is also a good idea to ensure that required levels of essential vitamins and minerals are maintained during the first few months of breast feeding. Most people who suffer from baldness will tell you that it is impossible to prevent. That is quite simply not true. In fact, as with most types of medicine, preventing of hair loss is much simpler and easier than trying to cure it. Preventing hair loss is primarily about looking after your scalp. That means eating a balanced diet (or failing that, ensuring that you take a comprehensive multivitamin routinely), minimising exposure to environmental stressors (such as too much sun, chemicals, etc) and keeping your body and mind healthy. Make sure you use only quality shampoo and conditioner on your scalp. The cheaper ones contain very low quality and often untested and dangerous chemicals which can not only cause hair loss but a variety of other unwanted side effects. Also it is essential that the over-use of hair care products be avoided as these damage your hair and the follicles. In particular, harsh shampoos, colorants and perming solution dry-out and weaken the hair as well as harming the hair follicles. This means washing your hair not everyday but every second day. Men in particular have no need to wash their hair everyday unless it is terribly dirty. It can also dry the scalp out considerably to do so. Scalp massage has been recognised to help prevent hair loss for centuries and is still considered in many circles to be a useful tool to foster a healthy scalp. And if you know that you are at risk for hair loss, beginning early with the use of growth-fostering products such as lotions and shampoos may allow you to prevent or at least delay balding, potentially adding years to the life of your hair. If you are unsure where to start, consult with a specialist at a hair loss prevention clinic for professional recommendation about preventing the premature loss of your hair. Whether or not we want to admit it, hair loss can affect self-esteem, often at a time in life when appearance is most important. It can cause you to look older than you really are and can even affect people as young as twenty years old. Fortunately today hair loss is more treatable than ever, especially if caught early. Hair growth is an exact science and should be treated as such. It starts with proper nutrition; hair is produced by living, breathing cells and these cells need energy to do their job! Follicle damage is the biggest reason for loss or slowed growth of hair, so treating your hair well will help to foster its growth. Avoid harsh chemicals or excessive sun exposure and do not over-brush or comb your hair. Washing too often can also reduce the rate of hair growth; wash only when you need to remove oil build up from your hair. Although prevention is better than cure when it comes to hair loss, thanks to science there are now products available that will support regrowth of lost hair. These include testosterone-like drugs which are taken orally, and solutions which are applied topically to the affected regions. A new alternative is laser hair growth, which is giving excellent results both in clinics and at home. Some products may bring upon side effects so it is very important to speak carefully to your doctor about any possible effects or interactions that will be caused by the medication or treatment you take. These products offer an excellent alternative to hair transplant techniques as they foster the growth of your own hair rather than relying on expensive strand-by-strand replacement. Laser hair growth treatment is a relatively new technique for people suffering from hair loss, whether it is for genetic or other reasons. The principal behind laser hair growth is the supply of energy from a low-light laser, which increases the blood supply around the hair follicle, thereby stimulating the follicle to produce hair at a greater rate than it normally would. There are various laser hair growth systems available and choosing which is right for you can be confusing. Most people opt for a salon-based treatment program, which ensures they receive the latest technology from trained hands. However now there are also at-home laser hair growth systems, which offer added convenience, comfort and typically a more reasonable price as well. Whether you choose an at home or salon-based system, the most important factors are the wavelength used by the laser, and the penetration depth, as these determine how effective the product is in stimulating the follicle. Spending some time researching the various products on offer before you decide which to go for will help ensure maximal results and value for money. Most people will require once or twice weekly sessions of laser treatment over a period of months to obtain good hair growth results, so whichever system you choose, ensure that you comply with the recommended guidelines for use and don’t expect too much, too soon. Also, consider combining your laser growth treatments with specialised shampoos and scalp products for better results. And as always ensure that your dietary intake of vitamins and minerals is optimal as this is essential for follicle function. Laser treatment for hair loss has helped millions of people worldwide but as with anything, please speak to your medical advisor before making a decision to embark upon this revolutionary treatment. As you can see, there are many answers to the question of how to grow hair faster. Unfortunately, it’s impossible to tell which, if any, will work for you - everyone is different. The best way is simply to try a combination, and to always look after your hair and body. There are many different techniques recommended by people who claim to know how to grow hair faster. The truth is that there is no hard proof behind any of them, but many people swear by them. This includes massaging your scalp daily, with olive oil, to stimulate the blood flow and stimulate faster hair growth. As a popular hairdresser said before, the hair is like a fine lace. It is a precious item people wear and display anywhere, anytime. In the end, whether your aim is to look younger or just plainly to look more beautiful, you will be held responsible in taking care of a precious lace. There are lots of resources and products to feature here to help you learn how to keep your hair healthy naturally, but I'm going to begin by telling you about my book as it has all the information you need to get marked improvements in your hair health in 7 days! You can buy it as a Kindle download and start reading right away on your computer or on a Kindle reader. Do you have a Beauty tip you want to contribute here? Share it! Is Aloe Vera Effective in Treating Hair Loss? Celebrity Hair Styles – Think Before You Copy! Prenatal Vitamins and Hair Growth: Is There A Link? Back to HOME PAGE of this how to keep your hair healthy naturally section of the site.